Biography of Swami Ashokananda (1893-1969), a monk of the Ramakrishna Order who developed the Vedanta movement in Northern California. This is the biography of Swami Ashokananda (1893-1969), a monk of the Ramakrishna Order who developed the Vedanta movement in Northern California. 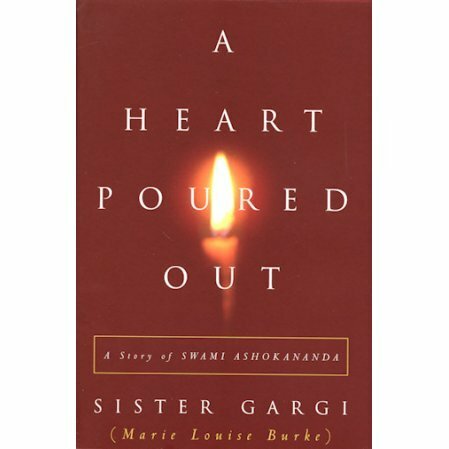 Thus Sister Gargi introduces her biography of Swami Ashokananda (1893-1969), who as a monk of the Ramakrishna Order, spent most of his life developing the Vedanta Society in San Francisco, where Sister Gargi then Marie Louise Burke met him in 1948 and became his disciple. As a spiritual teacher Swami Ashokananda was a powerful guide. An adherent of Advaita Vedanta, he was aware of the divinity of all life and saw in his students their potential perfection. His personality was like a flame that could change the darkest chasms of one's mind into fields of light, and his teachings brought courage and strength to hundreds of lives. From the very beginning, as a God-absorbed boy in a small village inIndia, to his life as a young monk dedicated to the highest ideals of Vedanta and of Swami Vivekananda, the Order's first leader, we see the commitment and passion of Swami Ashokananda. Later, his courage becomes evident as the editor of the the organization's English-language journal when he speaks out against some of the political views of Mahatma Gandhi and again in the 1930s when he brings his teachings of Vedanta to northern California at a time when Eastern religion was considered suspicious. The author, Sister Gargi (Marie Louise Burke) is an award-winning author of the six-volume classic Swami Vivekananda in the West: New Discoveries. Her other works include Swami Trigunatita: His Life and Work, Vedantic Tales, and Hari the Lion. "Who was this man that one word of his could bore its way to the very heart of my being and resound there for years like a rousing gong? This is his story as I know it." First of all, I thank the Society for shipping this amazinfg product very neatly to me, all the way from Hollywood to Bangalore, INDIA. Sister Gargi has very neatly laid out the life of most Rev. Sw. Ashokanandaji. She has classified the book so neatly into 3 parts, to start from the swami's life in India, to the 2nd part of his work at the SF center and thr 3rd part with his retired life. I once again thank the Society for sending this amazing work neatly and I feel, I am lucky to have this terrific book with me.